A home sees much wear and tear over the course of its existence. Families move in with their little ones anxious to settle down. Through the years, the little ones grow and the home ages both needing to be loved and cared for by their owners. Just like a child needs food, water and exercise to maintain his or her mobility a home needs love, care, upgrades and maintenance to maintain its full functionality. Parts of a home age over time resulting in the need for the owner to upgrade. Though some upgrades might be costly such as upgrading or replacing the homes heating and cooling system, not all home repairs and maintenance have to cost an arm and a leg. Every home is built with a ventilation system. The homes ventilation system is what helps keep fresh air moving in and harmful air moving out. Without a ventilation system, the home would not provide the home owners with quality safe air. 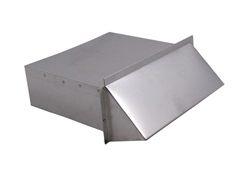 The vents used to regulate the movement of the air through the ventilation system play an important role in safeguarding the home from outside elements. Wall vents are purchased and installed in a home to help move heat, moisture and pressure from accumulating somewhere that is does not belong. Without wall vents, the ventilation system lays exposed and vulnerable. An exposed ventilation system can cost the homeowner money each month on high energy bills as a result of not taking time and care to install the proper wall vent. Because some little residents of the home can lean toward the rowdy side, it is important to purchase and install durable metal wall vents throughout the home. Metal wall vents are known to last and live through some banging; metal wall vents are an excellent choice not only due to their ability to withstand against little ones but because of their ability to blend in nicely with most home décor. It is important that a proper fit is had when metal wall vents are being installed if the wrong size bought and installed the ventilation system and home may not receive the needed protection. Speak to a professional on how to insure a proper fitting wall vent.